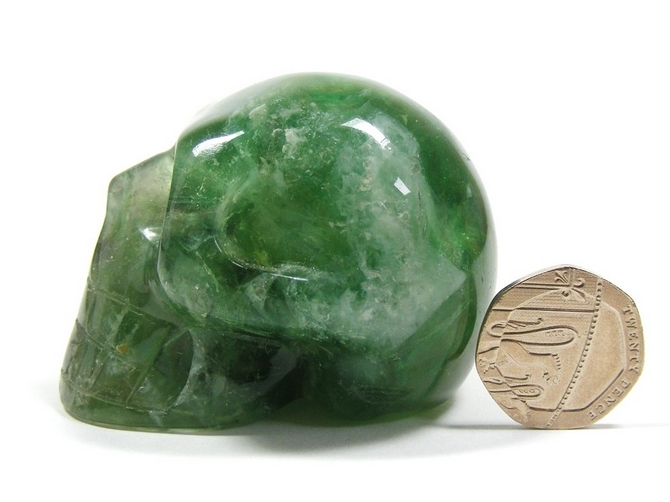 Lovely carving of a skull, cut and polished from a great piece of Green Fluorite. In addition, Green Fluorite is an excellent cleanser of the mind, the aura and the heart chakra. It helps to ensure that our heart and our mind are working as one. 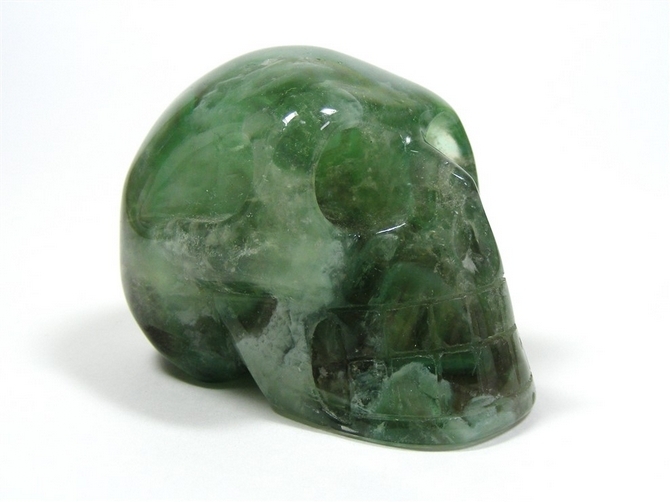 It is an excellent stone to help us when we need to specifically cleanse and heal the heart chakra as it helps to lessen emotional trauma, ground any excess energy, and it also enables us to recall information perhaps repressed in our subconscious mind. 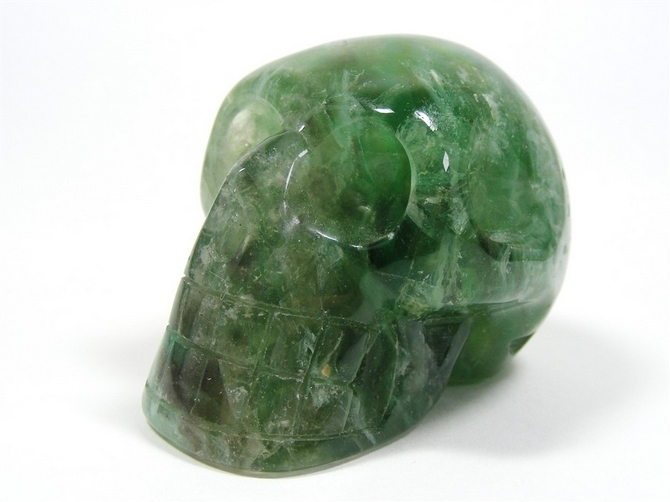 Green Fluorite can clear negative energies from our surroundings. Physically, it helps us with clearing infections, relieving stomach and intestinal disorders and is said to ease the discomfort of (but not cure the condition of) colitis, heartburn and sore throats.